Eleutherococcus senticosus, also known as eleuthero ginseng or Siberian ginseng, is one of the primary tonic herbs and one of the most widely used herbs in the world for enhanced immunity. The root of the plant is used in various preparations. The active ingredients in Siberian ginseng, called eleutherosides, are thought to stimulate the immune system. To name a few benefits, it enhances immunity, increases strength, stimulates sexual function, improves sleep, helps the body during times of oxygen deprivation, enhancescardiovascular function, improves overall athletic performance, and sharpens mental alertness. Excellent Tonic to enhance Athletic Performance: Eleuthero is used to combat the effect of physical and mental stress and to boost physical and mental energy levels. A study in the Chinese Journal of Physiology (2010) found Eleuthero extract (800mg/day for 8 weeks) to improve cycling performance, including a 3 percent improvement in both VO2 max and fat-burning capacity. Interestingly, subjects were able to maintain an increased workload (as measured by heart rate) at a lower perceived exertion during supplementation with Eleuthero — suggesting an improvement in your ability to “go hard” during prolonged exercise. It is helpful in controlling the spending of oxygen levels in the body. This is of immense use to people who exercise heavily as well as athletes who are short of oxygen or breathless after heavy practice and exercising. Maintain Glycogen Level: Eleutherosides, the active ingredient in Eleuthero, along with polysaccharides maintain the level of glycogen when the body is performing heavy physical activity and meeting the need with the help of fatty acids. Protection Against Toxins: Eleuthero helps to defend the body against some bacterial and chemical toxins. It appears to increase the efficiency of natural killer cells and macrophages that devour disease-causing microorganisms, and is especially beneficial to those who want to prevent infection, maintain well-being, and recover from chronic illness. It also stimulates production of interferon, the body’s own virus-fighting chemical, and antibodies, which fight bacterial and viral infections. Valuable Sleep Aid: In clinical experiments, extracts of the plant have been proven to shorten the time it takes to fall asleep, while increasing the depth and duration of sleep. This may be due to the plant’s ability to reduce stress hormones in the blood. As a result, Eleuthero extract is the primary ingredient in some of China’s most popular sleep aids. Effective in Atherosclerosis Management: Norman Farnsworth, Ph.D., professor of pharmacognosy at the University of Illinois, Chicago, and his research team, studied Siberian ginseng’s effect on individuals with diseases and illnesses, including angina, hypertension, various types of neuroses, rheumatic heart disease, chronic bronchitis, and cancer. They found it to be effective in atherosclerotic conditions by lowering elevated serum cholesterol, reducing blood pressure, and eliminating angina symptoms. Not only that, it proved to be genuinely adaptogenic by increasing blood pressure in subjects with low blood pressure. Drop in Stress Level: Under stress, the adrenal glands release corticosteroids and adrenaline, which prepare us for the “fight or flight” reaction. But when these hormones are depleted, our body becomes exhausted. 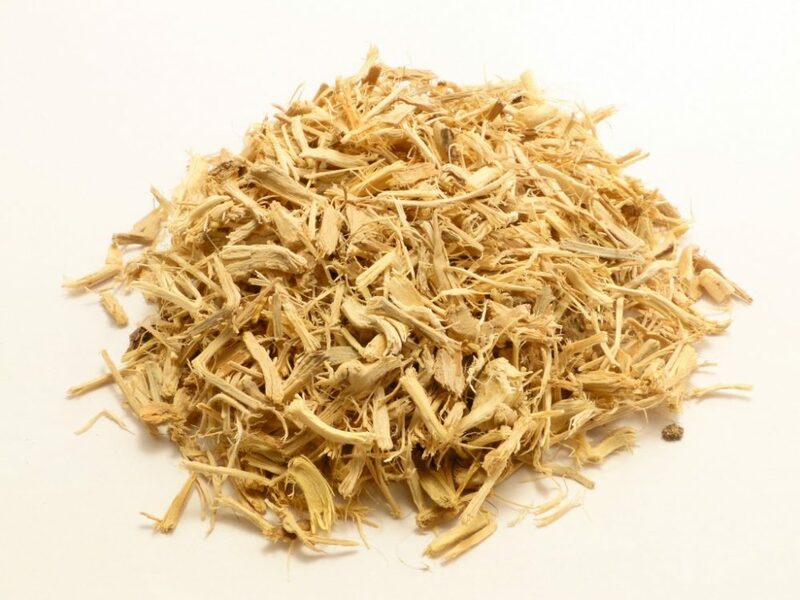 Siberian ginseng delays the exhaustive phase and allows a more economical and efficient release of these hormones. Eleuthero is available as tablets, capsules, tinctures, and liquid extracts. The powdered or cut root can be brewed as a tea. An average dose is 2 to 3 grams per day. Typically, it is taken regularly for 6 to 8 weeks, followed by a 1 to 2 week break before starting again. Note: Eleuthero has not been well studied in women who are pregnant or breast-feeding.